Cebuana Lhuillier, the leading and largest microfinancial services in the Philippines recently commemorate the International Day of Happiness last March 20, 2019 at the Happy Garden Café in Makati City, it was billed as Laugthernoon with the worldwide theme of Happier One, Happier Together. 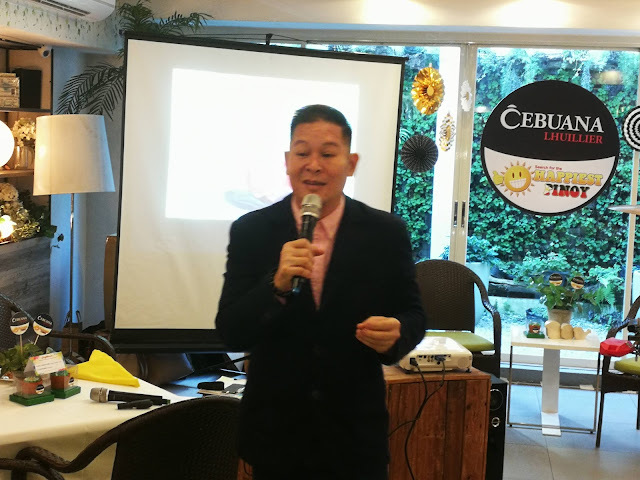 First to talk is Cebuana Lhuillier Happiest Pinoy 2010 first grand winner Winston Maxino, he is a Corporate Executive who was diagnosed with incurable bone disease (Ankylosing Spondylitis). In his talk Maxino discuss how his life changed after bagging the title, but his important message lies on the perspective of what is happiness now a days, many Filipinos of today is having a lot things to discuss when ask what is and where is happiness, for a person like him living with agony of his sickness and his survival, his goal now is to share it to many people about happiness, who like him turning negative to positive. After being tagged as the Happiest Pinoy in the Philippines, Maxino admits that its more than a title, more than what he is undergoing everyday fighting to survive, his sister is the one nominate him for this award that he didn’t knew at first, however when she confront her sister Gigi about it, the reply is to just give back the generosity and kindness he bestow to her, and he was deeply touch by this gesture, and that is a blessing that comes in full circles in many ways. “The blessings that we give to others, return to us in many ways we least expected, happiness begets more happiness.” Maxino further discuss. “We have the right to pursue happiness but never, never at the expense of others, we honor the right of the people around us to be happy as well, so we cultivate an atmosphere of mutual respect love and kindness.” He added. But Maxino insists that Happiness now is just simple, ordinary maybe or some things we don’t usually notice, this are the facts he learned in the past year in making speeches or talks on how happiness turn 360 degrees in his life. “I believe in the joy from the simple and little things I do, we do not need to make grand gestures or sacrifice to be happy, it is thru the simple deeds like smiling, or greetings friends or people around us to show how happy you are to see them, or remembering people’s birthday or occasions, a warm hug, taking time to listen to the problems of others, expressing concern to others, or giving my love one a gift that they want to receive.” Maxino in closing his talk. After Maxino very enlightening talk, he was followed right away by Paolo Martin Trinidad, a laughter yoga instructor, yoga is a Sanskrit word that means unity, it’s a unity of mind, body and spirit, he was doing this type of exercise to mostly depressed area like colony or jails, war zones and calamities stricken places in the Philippines. Trinidad attack is more on the science of laughing, the benefits and how it help our body, as the saying goes, laughter is the best medicine that’s why comedy films is always a hit for Pinoys. Trinidad gain his wisdom from a Master in India. “In order for us to be happy, it involve the areas in your face, first could be your jaw, then your upper lip to your cheeks, the third is the muscle, and kung gusto nyo talaga maging masaya, isabay-sabay nyo sya i-galaw.” Trinidad said. One best advise Trinidad leave to us is to start your day laughing right after you wake up, doesn’t mind if people thought your crazy, the important is the vibes and the good mechanical effect hormones in your body. “They say that laughter is the perfect body workout, it’s because according to science 20 seconds of laughter even if it’s fake is already equivalent to 3 to 5 minutes of workout.” Trinidad insists. 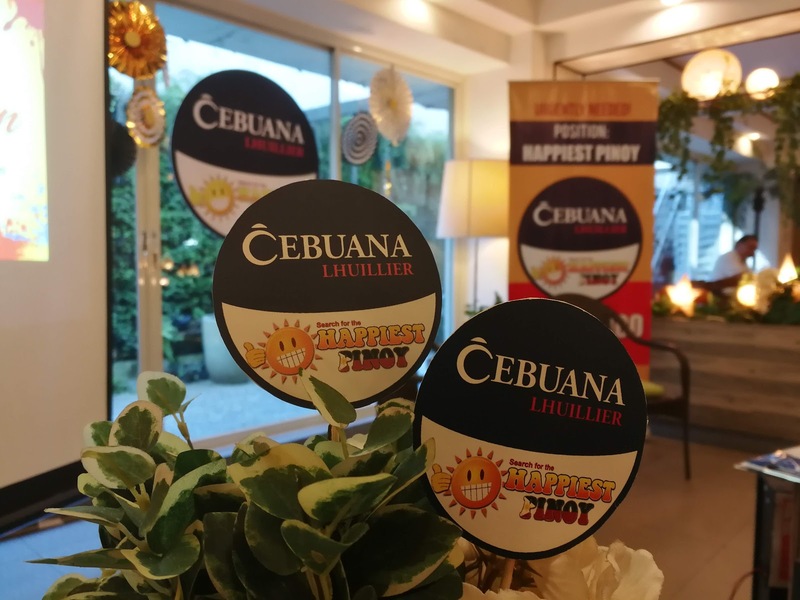 The multi awarded search for Happiest Pinoy goes a long way already as initiated Cebuana Lhuillier wayback 2010, for 2018 there are over a thousands of nominations that they receive coming from here and abroad, either tru SMS and online application, this is also for a fact that they added 10 categories aside from the grand winner, and this are for the upstanding Filipinos representing many fields of life. The 10 categories are youth, PWD (Persons With Disabilities), Manggagawang Pinoy, Professionals, Lingkod Bayan, Overseas Filipino Workers, Entrepreneur, Employees and from the community called Lesbians, Gay, Bisexuals, Transgender and Queer (LGBTQ) . 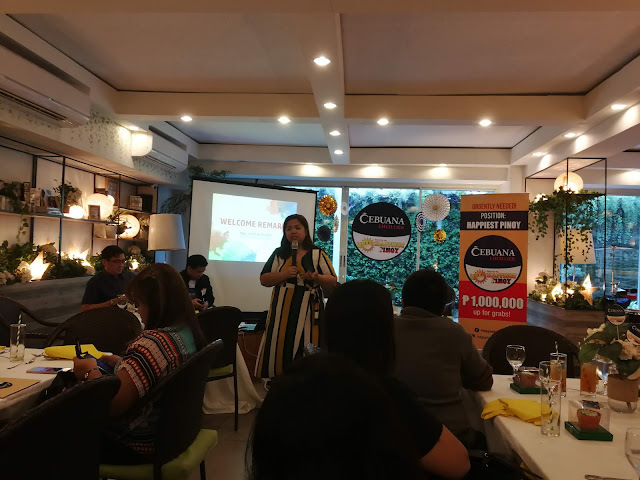 Cebuana are already narrowing the lists of nominees, and soon a special set of judges will convene to select the winners in those categories, Title holder will win P1 million and category winners will get P50,000 cash prize. 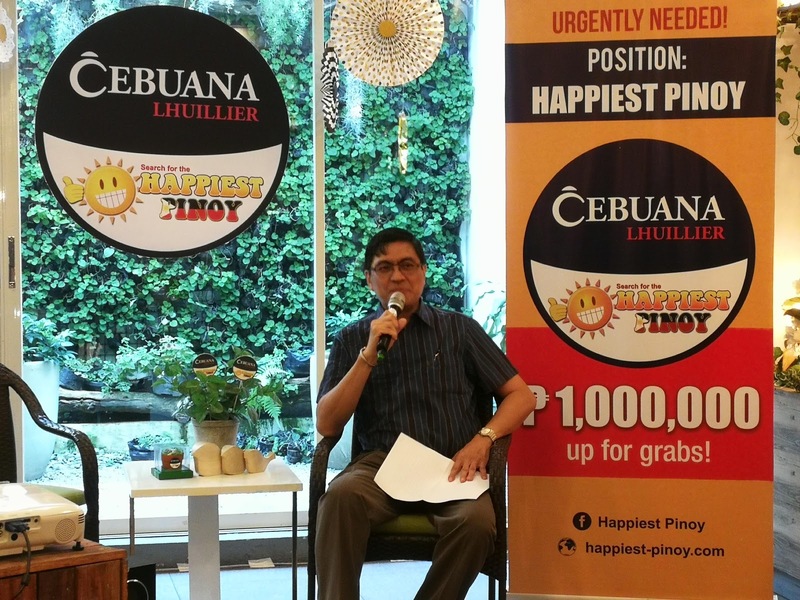 Among the jury they have in the past are Vice President Leni Robredo, Motivational Speaker Francis Kong, Broadcaster Luchi Cruz Valdez, Cultural of the Philippines Chairman Emily Abrera, 2006 CNN Hero of the Year Efren Penaflorida and Cebuana Lhuillier Insurance Solutions head Jonathan Batangan. For updates on the results of Happiest Pinoy 2018, you may log on to facebook or check www.happiest-pinoy.com . Corregidor open doors for adventure. Eto na Musical nAPO, the review.